All of detectors meet the requirements of UL 268 and EN 54-7/5 for use in Fire Alarm signaling systems. They are intended for use in 2-wire/4 wire Class A or B supervised zone circuits. We supply all types of Photoelectric Smoke Detector in both New and Used Condition. We provide all major brands in Photoelectric Smoke Detector like, APollo, Honeywell, Consilium, Tyco and many othe high quality brands. 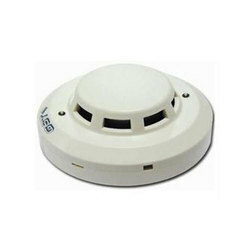 The wireless Smoke Sensor WFS1 is an INPUT DEVICE used for fire detection which is triggered by smoke. 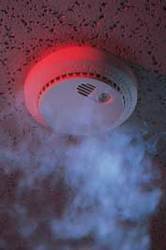 The two main types of SMOKE DETECTORS are photoelectric and ionization. It can use independently or as a front-end detector of an alarm system.